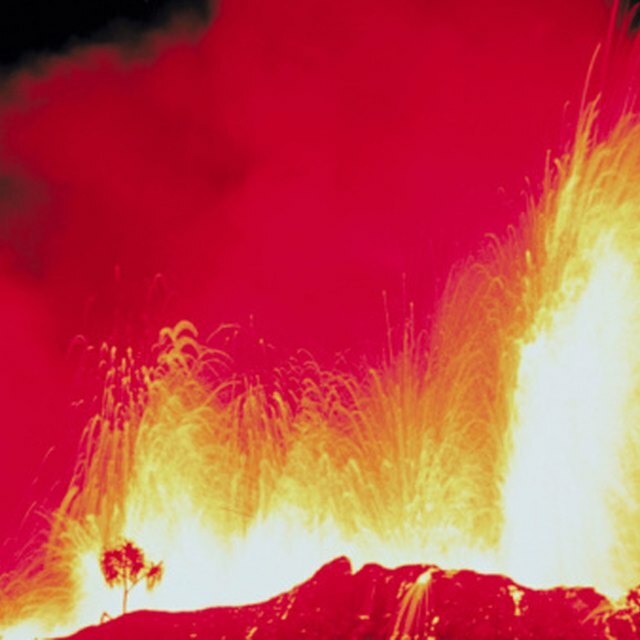 According to the Global Volcanism Program at the Smithsonian Institute, hundreds of volcanos have erupted in the last century, but most of these eruptions were minor and did not garner much worldwide attention. Twelve, however, were large enough to cause major disruptions to local citizens, property damage or deaths. According to the U.S. Geological Survey (USGS), the largest U.S. volcanic eruption of the 20th century occurred on Mount Novarupta in Alaska in 1912. This eruption produced 21 cubic kilometers of volcanic material -- 30 times more than Mount St. Helens in 1980. From 1914 to 1917, an eruption at Lassen Peak in California created lava and debris flows that covered more than 16 square kilometers, but damage to structures was minor, according to the USGS. When Mount St. Helens initially erupted on May 18, 1980, the lateral blast and debris avalanche detached the upper 396 meters of the volcano and killed 57 people. Debris flows temporarily halted shipping on the Columbia River and damaged highways and rail lines. The USGS reports that the blast destroyed 596 square kilometers of land in Washington and nearby states, and ash fell as far east as North Dakota. In 1983, Kilauea in Hawaii erupted, spreading lava over 78 square kilometers and destroying 180 buildings. In 1990, another eruption demolished the entire community of Kalapana. The USGS reports that 121 square hectometers of new land was added to the island of Hawaii as a result of the eruptions. 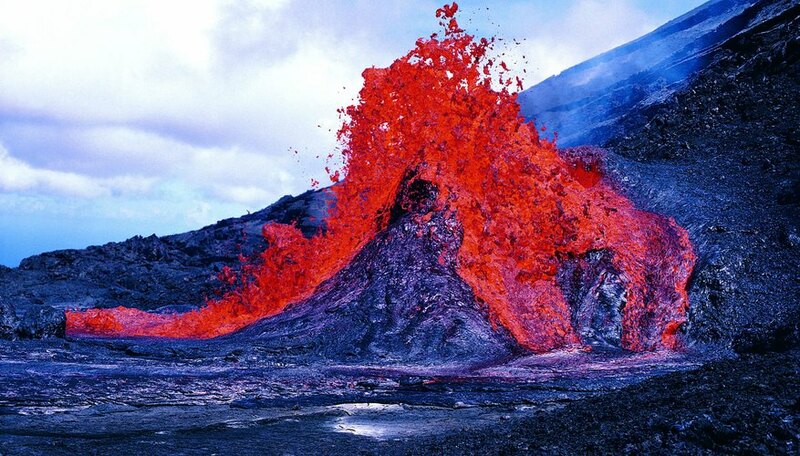 According to the USGS, Hawaii’s Mauna Loa erupted for three weeks beginning March 25, 1984. 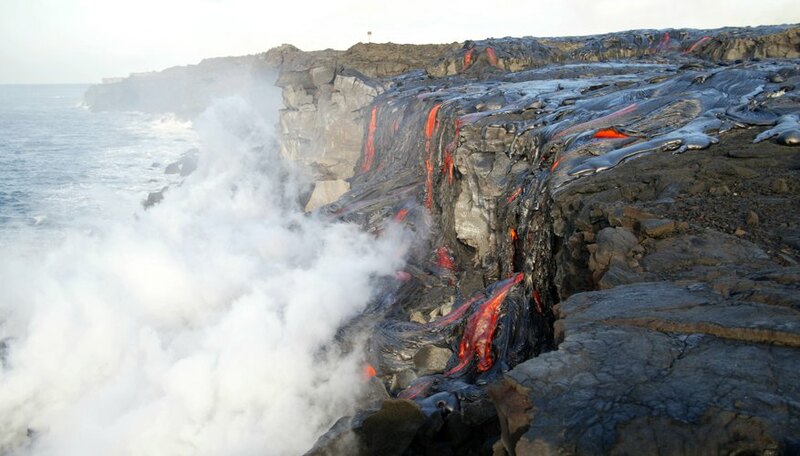 Lava flows threatened the city of Hilo, but no major damage was reported. 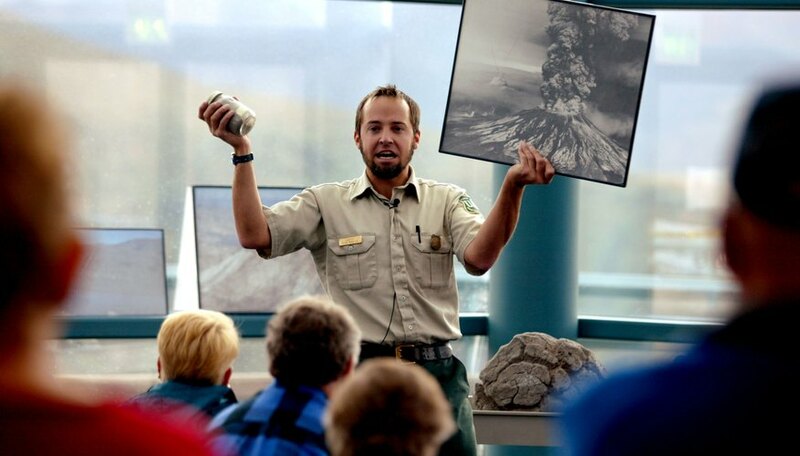 When Augustine Volcano in Alaska erupted in 1986, part of the volcano’s summit collapsed into the ocean, resulting in a 9-meter tsunami 80 kilometers away, according to USGS. Ash plume disrupted air traffic and fell in Anchorage, but no one was killed, and property damage was minimal. In 1989 and 1990, an eruption of Alaska’s Redoubt Volcano caused temporary closing of the Drift River Oil Terminal, and ash plumes disrupted air traffic, but other damage was minor. 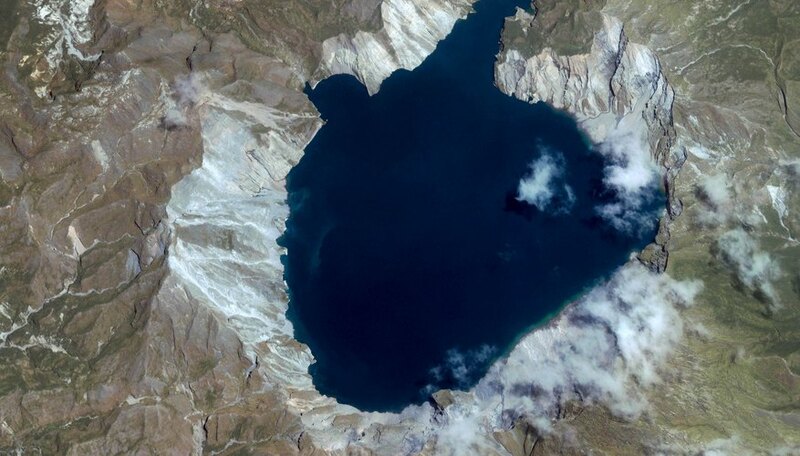 According to NASA’s Earth Observatory, Chaiten’s 2008 eruption produced a plume of ash and steam that rose up to 16.76 kilometers (55,000 feet) into the atmosphere. Ash blanketed the town of Chaiten, in Chile, 10 kilometers away, but no deaths were reported. The Eyjafjallajökull volcano in Iceland erupted for almost four months in 2010. The heat from lava quickly melted glacier ice above, and mud, ice and meltwater running off the volcano resulted in floods. Expanding gases produced a plume of steam and ash almost 11 kilometers into the atmosphere that drifted across the North Atlantic Ocean to Europe, leading several countries to close their airspace for several days. Hermes, Amanda. "Volcanoes That Have Erupted in the Last 100 Years." Sciencing, https://sciencing.com/volcanoes-erupted-last-100-years-7793285.html. 24 April 2017.